Much has transpired over the weekend in the house of Bigg Boss this season and this Weekend Ka Vaar turned out to be the greatest of all controversies where a contestant named Zubair Khan who has been evicted from the show in the first week itself has now filed a police case against the Bigg Boss 11 host Salman Khan reportedly in Mumbai’s Lonavala police station. He claimed to have been threatened against his career in the film industry and further said in his complaints that the Dabangg actor reportedly told him, “I will make you my dog. Will see you after you leave the home.” Meanwhile, Golmaal Again team including director Rohit Shetty, Shreyas Talpade, Kunal Khemu, Parineeti Chopra and Tushar Kapoor visited the house secretly on Sunday, October 8, 2017, for their upcoming movie, Golmaal Again promotions. While the contestants were asked to ignore the Bollywood stars, they were all gifted bizarre items. 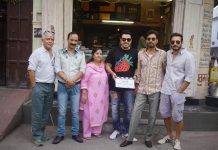 Puneesh Sharma was gifted a brinjal and a plate whereas Vikas Gupta, another contestant, was reminded to control his actions around the house when he was given a rope by the Golmaal Again stars. As Sunday marked the occasion of Karwachauth, Pinky Padosan also found her way inside the house claiming to be the wife of Bigg Boss and with the motive of breaking her fast came to the Bigg Boss stage, to which Salman gracefully obliged. The Bajrangi Bhaijaan actor was further seen spending some candid, cheerful moments with Ajay Devgn and Rohit Shetty as they played word games, took a couple of selfies and laughed on jokes. Parineeti, on the other hand, was not able to identify the 4 padosis (neighbours) in Bigg Boss house, the theme of the show being neighbourhood this time. The Hasee Toh Phasee actress, however, claimed to have been a fan of the show. 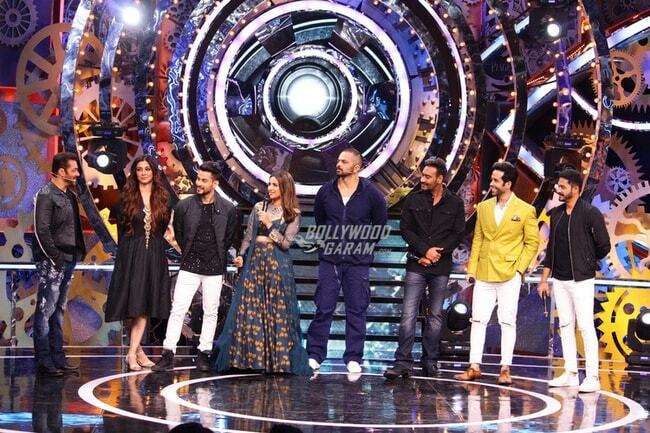 Kunal Khemu, meanwhile, takes a jibe and compares his team with Bigg Boss saying while everything in his upcoming film and the cast is Golmaal, whatever happens on Bigg Boss is Jholjhaal! It has truly been one jholjhaal ride so far, as Zubair was admitted to a hospital reportedly for taking excessive sleeping pills in the house. He was evicted from the show while he was recovering in the hospital as he was said to have received minimum votes. Before Zubair, Priyank Sharma was abruptly eliminated from the show as he broke the rule of the house, became violent and hit fellow contestant Akash Dadlani who made some demeaning comments on a gay contestant, Vikas Gupta’s sexuality. At present, Hina Khan, Vikas Gupta, self-proclaimed godwoman, Sshivani Durga and Sapna Choudhary are all nominated for elimination except for Jyoti Kumari who has got the majority of votes from contestants and now it is upon the padosis to decide on eviction nominations. 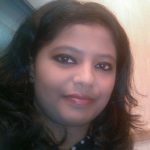 They have nominated Jyoti for eviction and have been able to secure their place in the main house as relatives of each other. As bickering fights, abuse and violence continue in Bigg Boss 11, Vikas Gupta decides to jump off the house wall and leave the show. However he was brought back and may have to face some punishment to have broken the house rule. 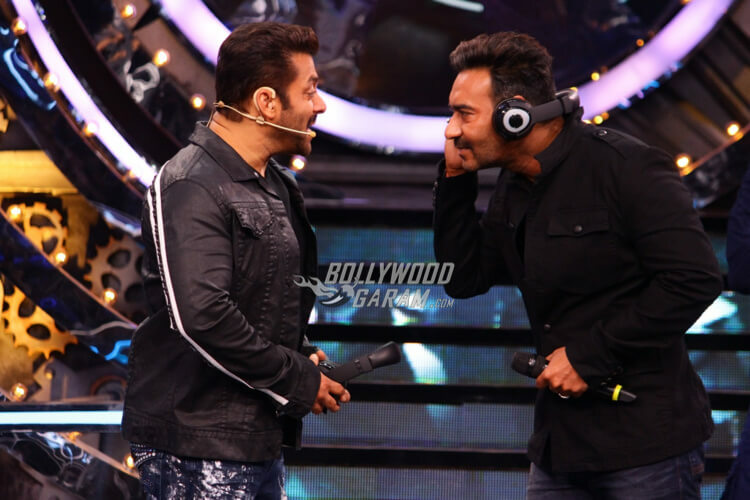 Exclusive photos of Golmaal Again team visiting Salman Khan’s Bigg Boss 11!